Premier racing bicycle company Felt Racing has designed the fastest UCI legal bicycle in history. To maintain the absolute lowest drag, Felt Racing used DesignFOIL to create low-drag tubular cross-sections. 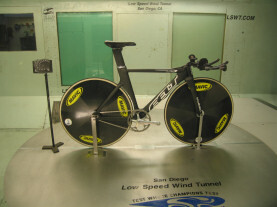 Here is a picture of it being tested in the San Diego Low-Speed Wind Tunnel. Proof positive that DesignFOIL can help you achieve low-drag for a minimum cost. 3. Quickest elapsed time (E.T.) for a quarter mile in Top Fuel history-4.48 seconds. Let me know how much it will cost for the update. Worth any amount it will cost." The University of Missouri is using DesignFOIL to help their students pick wing cross sections in their design class. Dr. Finaish has obtained several copies of DesignFOIL to aid their students in quick selection and analysis. 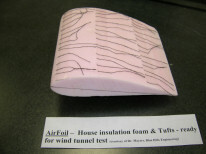 "Students at UMR use DesignFOIL to examine the properties of several airfoils of their choice. For each selected airfoil the students obtain the following information from DesignFOIL. 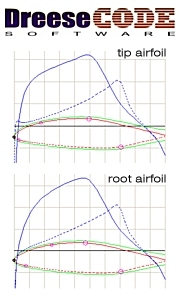 The maximum coefficient of lift, the slope of the lift curve line (the linear section), the angle of attack of the airfoil where it produces zero lift and the coefficient of drag of the airfoil where it also produces zero lift. Using the collected data the students select an airfoil for use on the aircraft, under design, such that the aircraft meets the project specifications. These specifications include a minimum straight and level airspeed at full power, a minimum takeoff distance from a standing start, and the total distance for the aircraft to clear a 6' high obstacle from a standing start. If DesignFOIL is being used to train our future aerodynamicists, just think how powerful it can be for your project (and at such a low cost). "I was able to generate an effective design without spending months in a wind tunnel! Easy, fast and effective, DesignFOIL worked great for me. 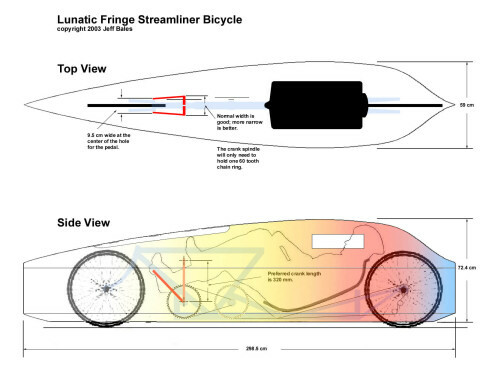 "Designer / Builder of the Lunatic Fringe streamlined racing vehicle." When designing the HawkJET, I ran into the challenge of finding suitable airfoils to allow for the various needs of the aircraft (both structural and aerodynamic). As with any engineering endeavor, I had various needs to fulfill. These included low drag, low moment and enough room in the wing for things like fuel and flap mechanisms. DesignFOIL was invaluable in creating these airfoils. It gave me the ability to understand how subtle changes in the airfoil shape affected its performance. I don't see how I would have found such an elegant engineering solution without it. Thank you for inventing such a terrific product! DesignFoil R6: Designer 6.2 is an excellent instruction tool for student engineers interested in airfoil design; the program is very user friendly. Airfoil parameters can be changed and through simulated wind tunnel testing, student modifications can be observed through an easy to read analysis screen. We use the product in our engineering program to design airfoils based on specific performance criteria. Students produce working drawings and a 3D model through AutoDesk Inventor, Manufacture using foam or our 3D printer and wind tunnel test each design. DesignFOIL Meets Tiltrotors: I've just arrived at Larry Chapmans house in Northeastern Indiana, only five minutes from the Michigan border. Perched on a dinner table in front of me is one of the most amazing machines I've ever seen. 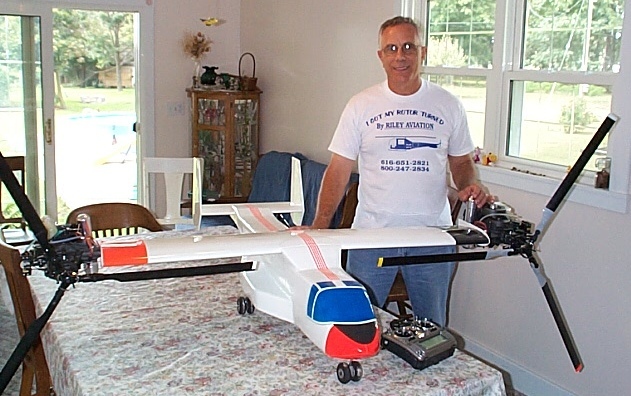 Larry, a skilled RC helicopter pilot, has built a flying V22 Osprey from scratch. Let me repeat that: he built a flying tiltrotor! For almost a decade, he has built ever increasingly complicated VTOL aircraft and now he's built a scale Osprey using engineering methods. Today, on my drive back to Ohio from California, I've taken a detour here to meet Larry and see this machine. 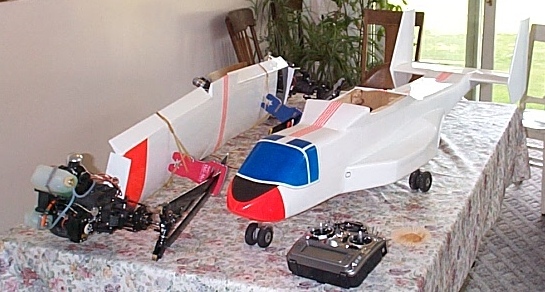 In addition to DesignFOIL, Larry used a three-view of the full-scale Osprey to construct this RC model. Don't be fooled into thinking it's just a double-helicopter; this bird has actual tilting rotors with full helicopter-control heads. To top it off, it uses a unique connection system to synchronize both tip-mounted engines. If one engine cuts out, the other will transfer the load! Many of the mechanisms including the flap deployment and differential tilt are extremely unique and clever. 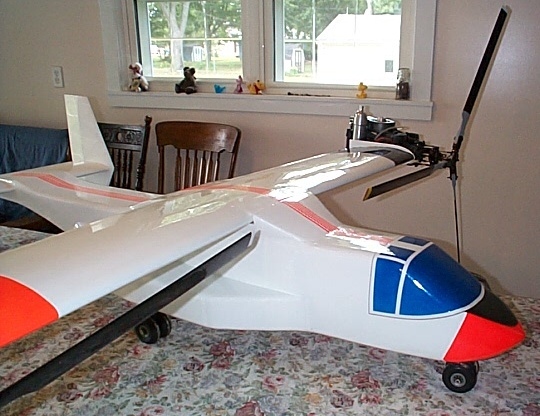 Using his experience in building RC aircraft, he made the fuselage not only to scale, but feather-light as well. His airfoil shapes were generated with DreeseCode Softwares' DesignFOIL. As far as I know, Larry has the only fully functional scale model of a V22 tiltrotor that flies. Several hover and flight tests were made in late 2001 and a full in-flight transition to airplane mode is scheduled for the Spring. Visit here to see Larry's own webpage which includes VIDEO of the flights!